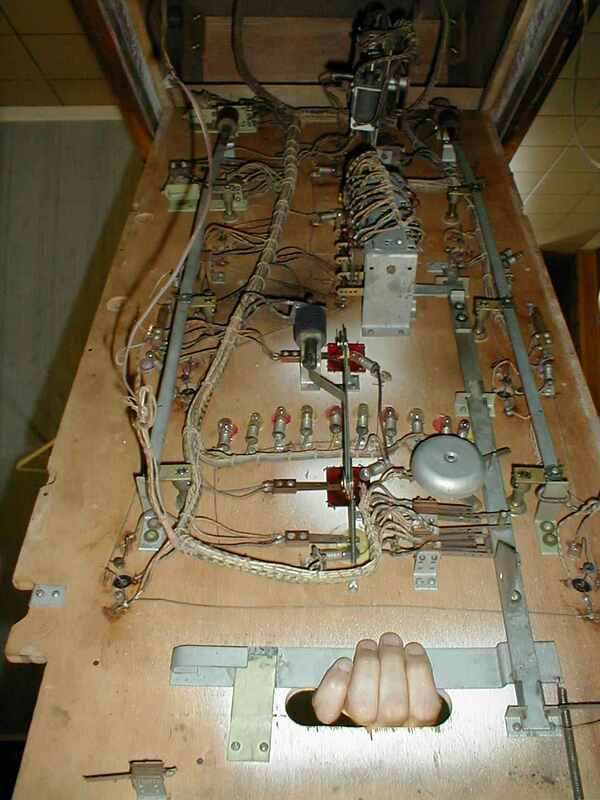 A while ago we were contacted by someone who had an old pinball machine and needed some help with it. Nothing special you'd think, we often get mails from people with a vintage pinball machine for sale. Most of the time it's about an electro mechanical game from the seventies, nothing rare, thousands have been made of it, and usually it's in such a bad condition that makes it almost worthless and almost impossible to restore. This time however the game was special. It really was an old game. Old as in antique pinball machine (and valuable). 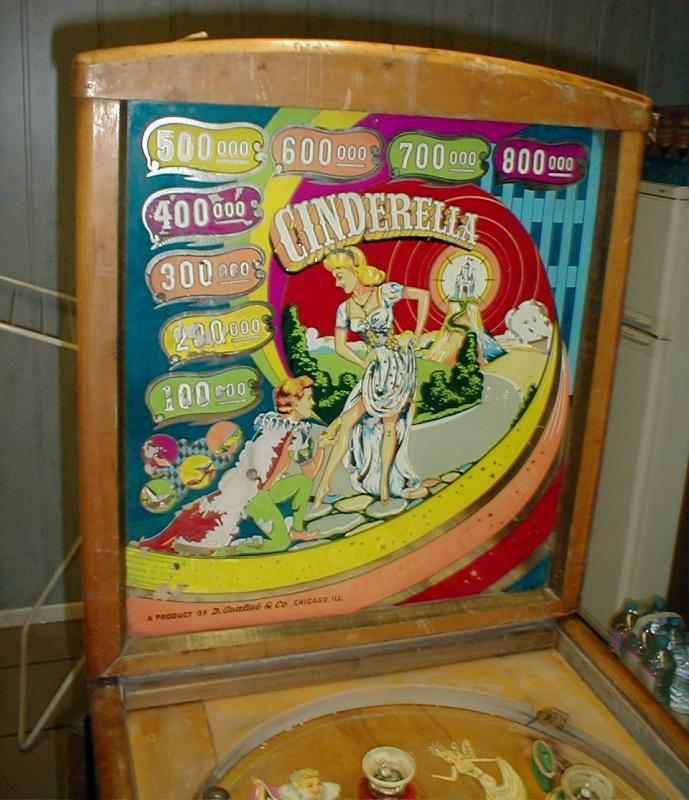 Not just any antique pinball machine, but a Gottlieb Cinderella, made in 1948. 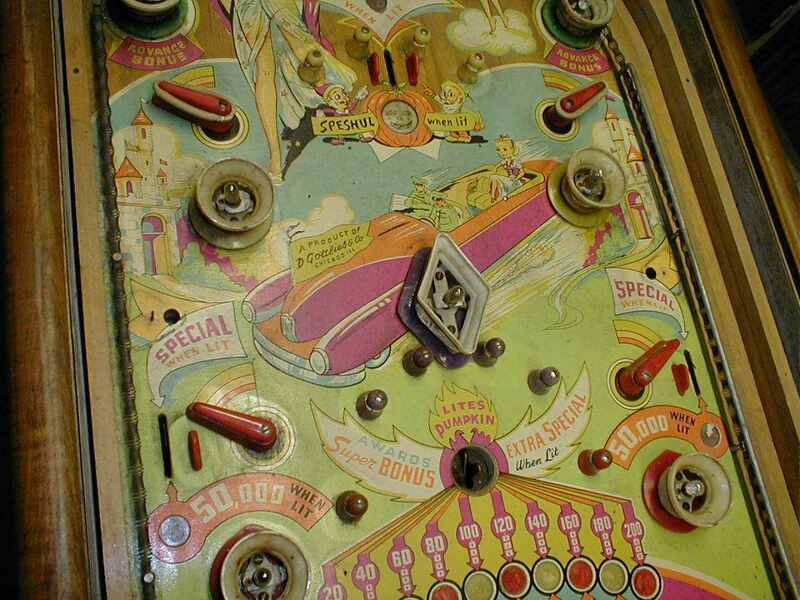 This game is one the very first Gottlieb flipper machines. 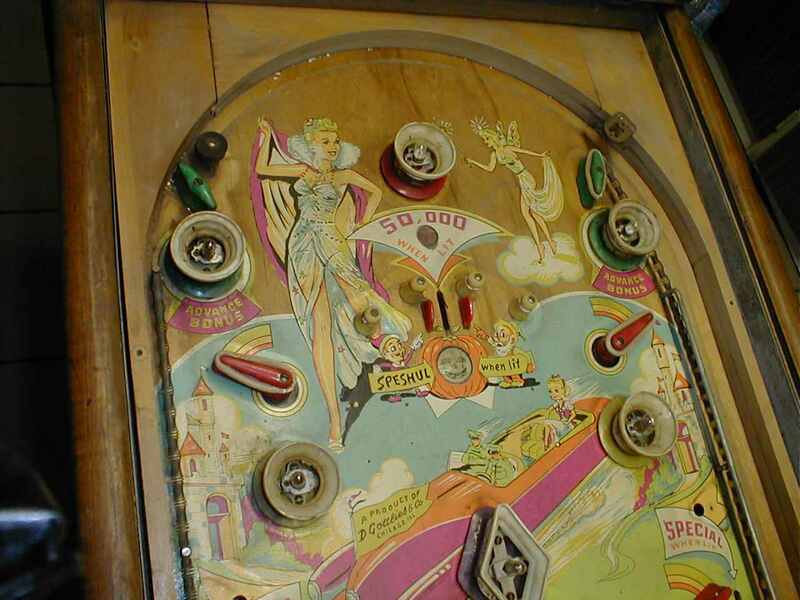 It's also one of the 'fairy tale' series: the first pinball machines by Gottlieb all had a fairy tale as theme. 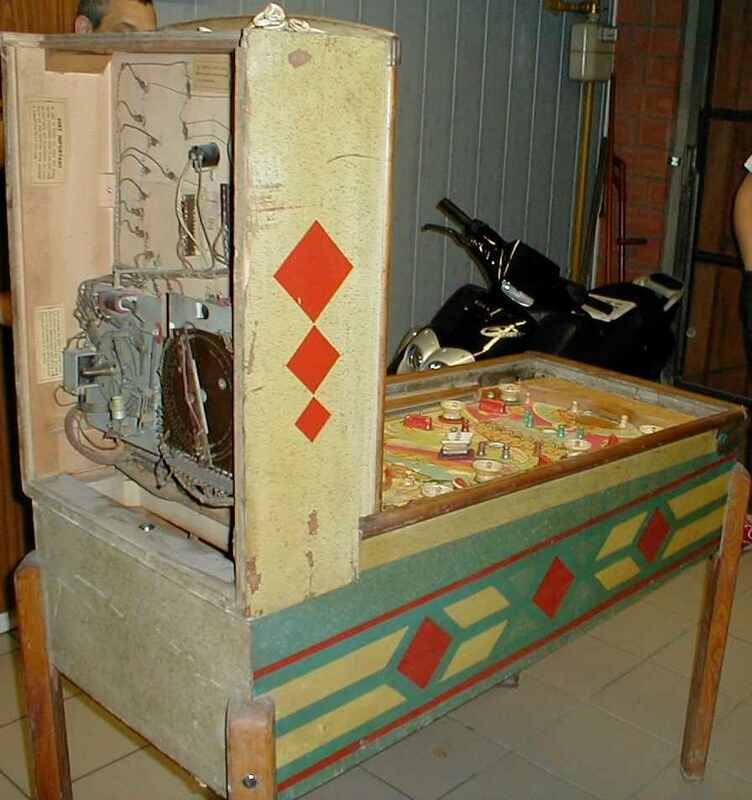 An antique pinball game like this is rare in Belgium. Woodrails can be found in the USA, but in Europe they're much more difficult to find. This one was even still in reasonably nice condition: what was very important was that it was always stored in a dry environment. 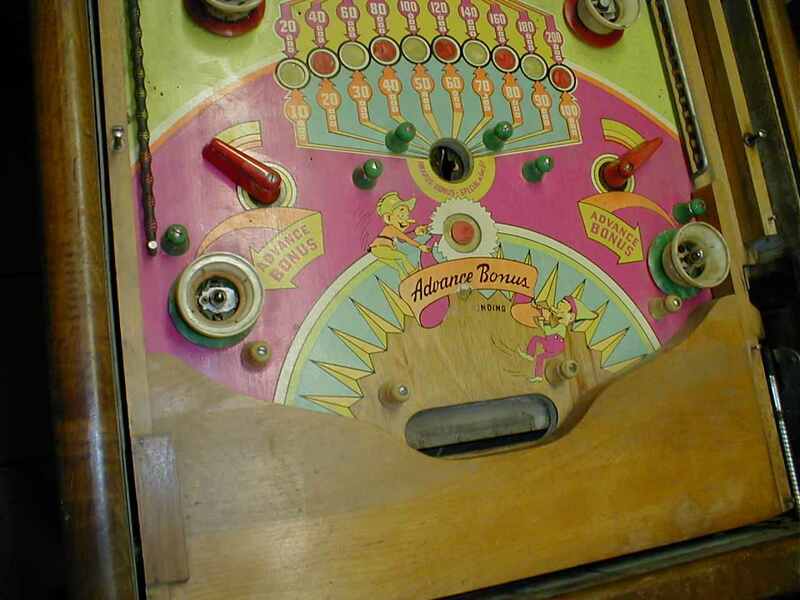 The backglass had a bit of paint missing, the playfield was in good condition: dirty but no big spots of worn paint. 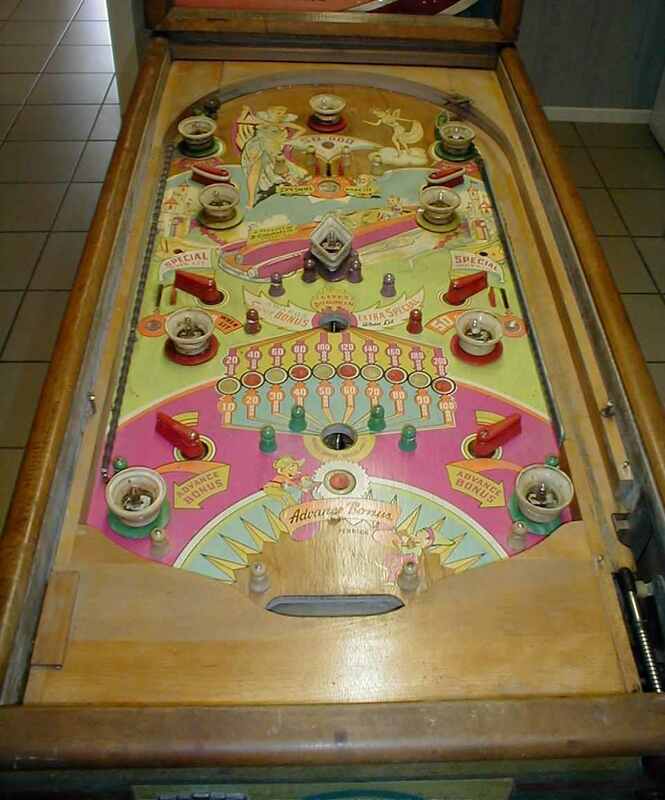 The owner had contacted us for more information about vintage pinball machines. He was thinking to restore the game and then sell it, or maybe immediately sell it. He asked us if we could help him and knew people who were interested in the game. 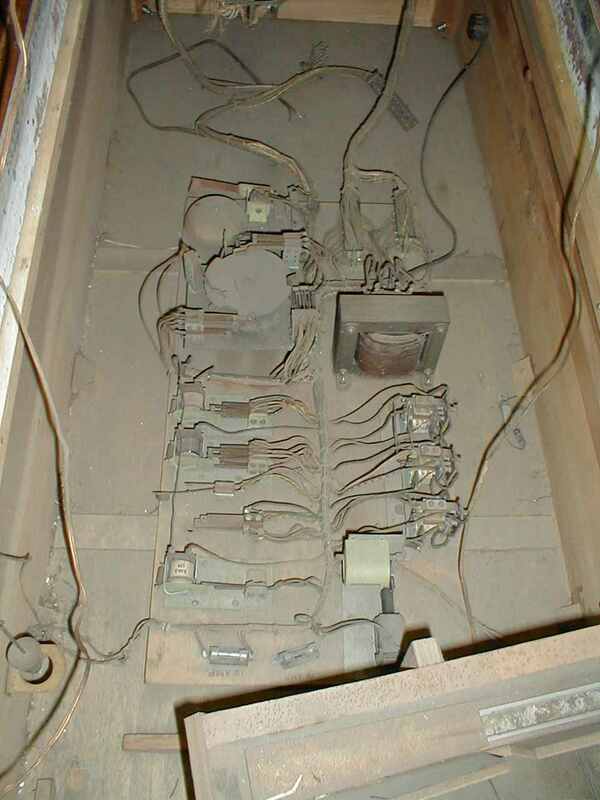 A bit of searching discovered that there are reproduction parts available for this vintage machine. A new backglass, plastics, .. However they were not cheap. By coincidence on the american MrPinball sales website, there were 2 Gottlieb Cinderalla machines for sale too. One completely restored (with new repro parts) and one in original but good condition (could still be played). Both were priced less (around $1500) than the sum of what the owner wanted for the game as-is and what the repro parts needed to restore this game would cost. Therefore the owner decided not to put an effort into restoring it himself (he probably had hoped to sell it after restoration with a big profit), but to sell it as is. We weren't personally interested in the game at that time (lack of room, and we prefer more recent games that are fun to play, not to have antique games for display only). We contacted a some collectors of whom we knew they are interested in this kind of antique pinball machines, and one of them agreed immediately on the sellers asking price. 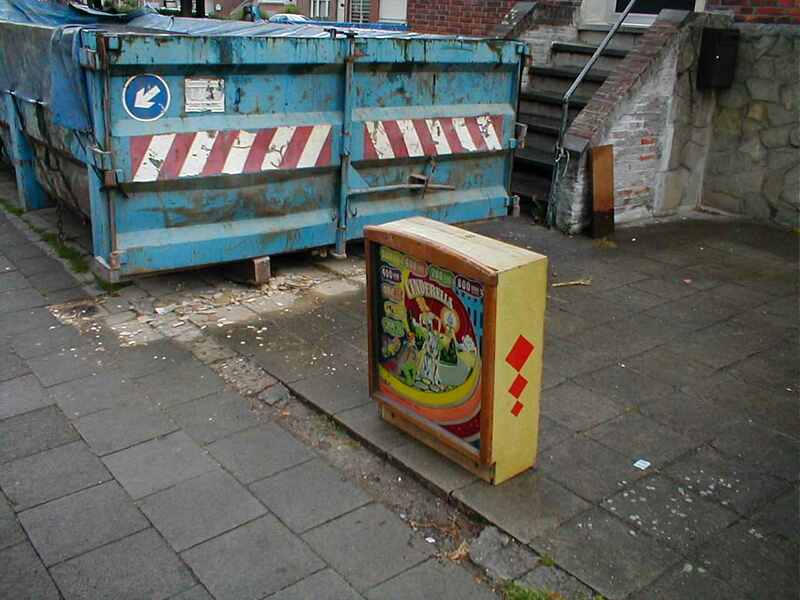 It's always nice to be able to save an old pinball machine from ending up in a dumpster..